Everest if you climb up anyway! Is the basic concept. Many other professional course players have come on the podium also in the official tournament which is also the JSBA All Japan Championship, which can be said as a celebration of social people snowboarders, and at the All Japan Championships! In the past, I thought that rather than teaching the skill skill itself, I would like to teach the socialist border mainly about tips on pole strategy. Changing the technical thing, there was a time when the slip would instability inevitably, so I thought that it would be better for the citizen who comes to practice for the tournament on a limited break. However, while communicating with society snowboarders who will repeat for many years, I think that the desire to be successful in their own limits is the same as the top players aiming for the world I noticed. Also I noticed that those people came to the GSS. Even though I did not have the basic idea, I closed my eyes, and I was teaching lines and a bit of tricks. After becoming such guidance policy, we steadily upgraded the level steadily every year for several years. In recent years, someone won every week at the official tournament with the JSBA All Japan Championship as a celebration of a social human snowboarder, and everyone at the All Japan Championship went up on the podium for a number of professional course players! There was a story for each of the people who had a big success so far to the podium. There are also those who were ranked from the very beginning of GSS, and some people were beginner race at first. I listen to the story that GSS has a high level and saying that it will be injured, but truly race beginners are also welcome, and everyone is a beginner at first! Please participate with peace of mind. Again, although fundamental guidance brings big change to slip, people who get results immediately are rare, and many people may temporarily lose tournament results. Changing technology from the basics requires time to get a sense of stability. Even from the past examples, the players who skated everyday got results in the competition in the latter part of the season, but the training in practice resulted in the results in the competition, but many social players with limited practice time, some dexterous people Except for the first season it did not lead to results. Nonetheless, many people said "I had a chance" "I understood the task" "I am looking forward to the next term", and finished the season with a smile. Most of the society snowboarder keep choosing GSS as a practice base every year except for those who are temporarily away from snowboard due to various circumstances such as marriage / delivery etc. for several years from then. I feel a sense of resistance to that. And, as a coach, I am now convinced that this is the right path. If the base of the GSS was consistently Sugadaira Pine Beeke, it might be attracted to the best practice environment in Japan? There is also possibility of being troubled. 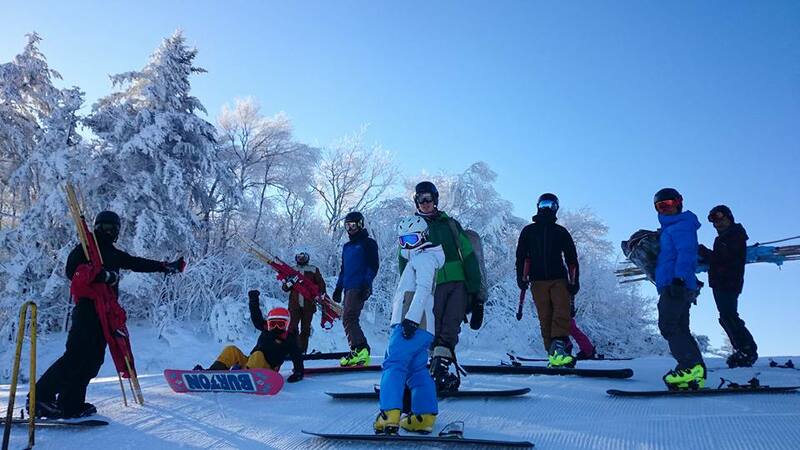 However, despite spending the 7 season at the peak of Mine mountain which is a small ski resort and Mount Nobeyama, it has become a great confidence that everyone was able to come and bring results. This season, Sugadaira's burning reservation method has been reformed into a system that can reflect actual situation. Initially founded, among the teams based in Pinebek, the GSS which was handled as the lowest layer is now recognized as one of the four large teams and it is now possible to reserve bars accordingly. I hope to have a better practice environment and continue serious guidance this season! It is!